The new Freightliner Argosy has a choice of two engines: Detroit Diesel DD15 and the Cummins iSX & Signature. A great truck has to have great power. That's why the Freightliner engine in the New Generation Argosy comes with a choice of engines from two of North America's best engine manufacturers. It's power you can trust. The Detroit Diesel DD15 is an all new ground-breaking engine which provides up to 560 hp and 1850 lb-ft of torque, while the legendary Cummins iSX & Signature engines are available with up to 600 hp and torque of up to 2050 lb-ft.
Lots of power. Bigger loads. Easier driving. And all are fully ADR80/03 compliant. To get all that power onto the road, the Argosy offers Eaton's new UltraShift automated transmission with electric clutch actuation and intelligent shift selection software which helps perfect launch and shift decisions. A hill Start aid prevents rollbacks to make life easier and safer for even the most inexperienced drivers. Freightliner's engineers have left nothing to chance, giving the New Generation Argosy a truly exceptional cooling package. Big, effective and robust, it can handle anything so this truck will keep working and keep earning. It starts with the massive engine/chassis-mounted, 1650 sq2 high-efficiency single aluminium radiator - Argosy's most efficient ever - but it goes much further. A specially designed 11 blade fan, a more efficient charge air cooler, a new air conditioner condenser and a large capacity header tank all add to the Argosy's ncredible ability to keep itself cool. They've even adjusted the cabin height and designed a new front firewall to optimise air flow past the engine bay, to give the engine the coolest possible working environment. With plenty of reserve capacity to handle bull bars and more, the Freightliner Argosy's unbeatable cooling package has proved itself in the world's hottest deserts. This truck will stay cool - and so will you. They've redesigned the electrical architecture in the New Generation Argosy - minimising circuitry wear and tear to keep your truck out of the maintenance yard. Everything has been addressed, from the batteries through to the high speed diagnosis connections. All high current power cables are routed in conduit from start to finish and Freightliner's latest erail technology has allowed us to move cabling away from the crowded engine bay to further protect the wiring looms. A new centralised PowerNet Distribution Box manages all electrical requirements between chassis and cabin for vastly minimising circuitry wear and tear. From the batteries housed in a temperature sealed carrier, through the leece Neville brushless 185 amp alternator, to the latest technology headlights, the New Generation Freightliner Argosy is wired for life. At Freightliner, they hate downtime as much as you do, so they've designed durability and ease of maintenance into every aspect of the New generation Argosy. The giant grille tilts up to 120 degrees so drivers can easily access daily check points. The cab itself tilts through 75 degrees thanks to an effortless 'Electrical Over Hydraulic' tilt function. With complete access to the engine, jobs that could take hours, now only take minutes. Coming as standard on the Argosy, Meritor's Permalube drivelines are maintenance free and their large, high capacity front axle wheel bearings are designed to keep you on the road longer. Of course, with a Freightliner you also benefit from having 45 specialist service and parts authorised dealers right across Australia. Built not just to survive, the New Generation Argosy has been tested like no other to ensure it will thrive no matter what you throw at it. Configured as a fully loaded B-double or road train, the argosy has cruised through dynamic testing in temperatures averaging 46 degrees, repeatedly driving up 7 percent gradients nearly 30 kilometers long. 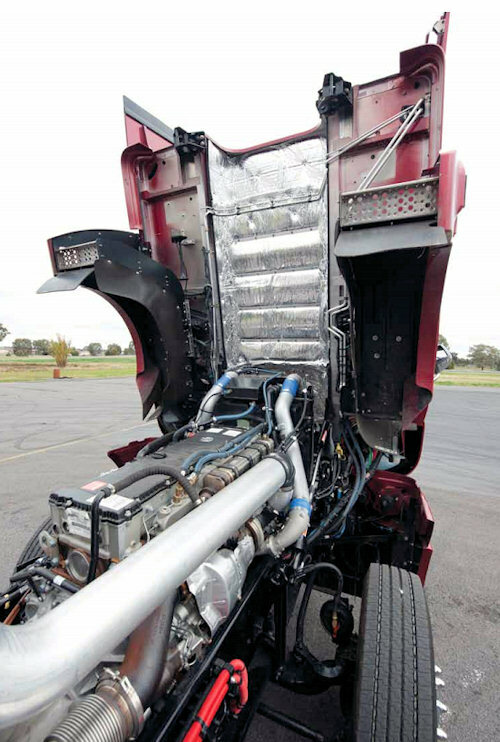 It has been subjected to endurance tests of more than 2.5 million kilometres of on-road testing and passed aggressive cab shaker tests at Freightliner's research and development facilities. Full scale wind tunnel tests have also made the argosy very "slippery". The 24 degree windscreen deflects air upward and through the argosy's open visor' minimising turbulence and cutting running costs. And, with a light overall tare weight allowing payloads to be maximised, the New generation Freightliner Argosy has been designed from the wheels up to pass the ultimate test - turning a profit. When you buy a Freightline, you not only get one of the very best trucks in the world. You also get the knowledge and support of Daimler AG. The superior technology, design and production techniques available to such an experienced, global organisation are all reflected in the New Generation Argosy. These immense resources are why this truck has evolved so far, so fast. In australia, this parentage is also evident in the back up Freightliner owners enjoy. With 45 authorised Dealers across the country, help and spare parts are always close at hand - maintenance and warranty support is easy to access. And, of course, there's their nationwide network of Freightliner dealers, whether you're in Gosford or Geraldton - or anywhere in between. Find your nearest dealer by calling 1300 662 230. Daimler Trucks is a division of Mercedes-Benz Australia/Pacific Pty Ltd, ABN 23 004 411 410. With Freightliner Service Centres all across the country, maintenance and simple warranty service is convenient and accessible, cutting downtime to a minimum. 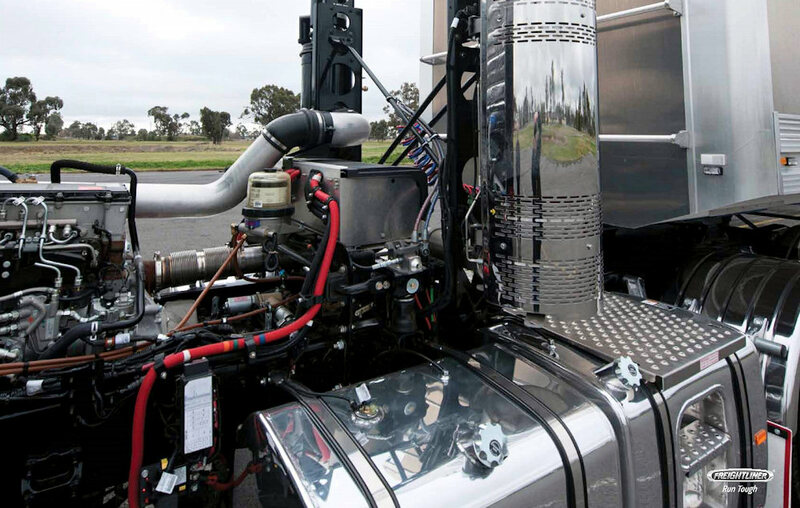 Service and Parts Only Dealer Contact your local authorised Freightliner Dealer on 1300 662 230.